This afternoon, I walked into a T-Mobile store to see their newest gadgets and to talk story with the agents there – who are super friendly by the way. I was asking about their newest phones and since I still use my Note 4 as my main phone (upcoming video why its still my favorite), they were promoting Samsung’s latest flagships – the Galaxy Note 5 and the S6 Edge Plus – as well as Apple’s latest flagship, the iPhone 6S and 6S Plus. In fact, they were quick to point out Samsung’s latest promotion, where if you trade in your iPhone – in addition to the trade in value, you will get $100 in Google Play credits, Samsung will also pay your bill until 2016 – great right!? After learning about Samsung’s latest promotion – in which they were misinformed, it wasn’t for the entire bill amount – its only for $40 for up to 3 months, a maximum of $120 – and you don’t have to trade in your phone, as long as you sign up for the promotion and actually buy one of the participating devices, you would get $40 monthly payment until 2016, I asked about their selection of Windows Phones. The agent quickly pointed out that they didn’t have any Windows Phones in stock – which is quite shocking – because they are the most affordable smartphones out there and since T-Mobile no longer does contracts, a Windows Phone starting at $99 outright is a great option. Another disturbing fact is their agents aren’t familiar with Windows phones because their recommended I buy the HTC One M9 with Windows (which doesn’t exist), the M8 is the version which exists with Windows. 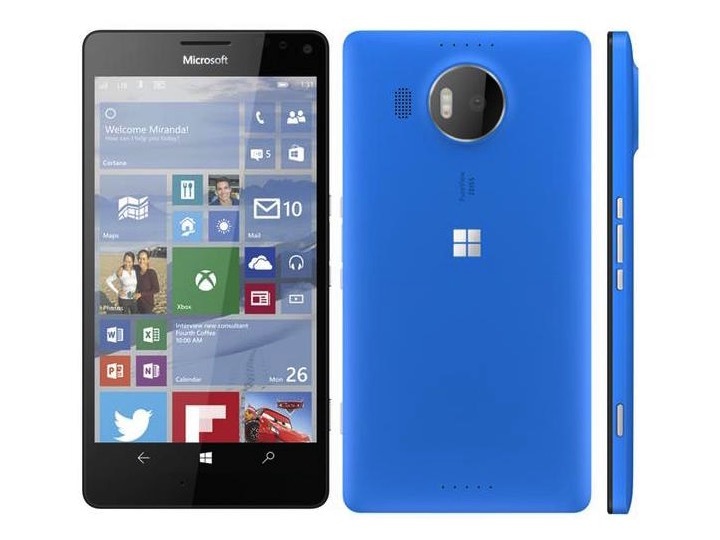 Will Carriers carry Microsoft latest Lumias? With Microsoft revealing their latest gadgets on Tuesday, as rumored (but more than likely), Lumia 550, 950, 950XL, Surface Pro 4 and other surprises, Microsoft is going to need more than new gadgets (and more apps), to increase the Windows 10 Mobile marketshare – they are going to need awareness and carrier support – without any exclusives – please no AT&T exclusives! What do you think? Are you curious about Windows 10 Phones? Have you owned one before? Tweet us @AsianGeekSquad!